Keeps contents cool and fresh and can be used for hot beverages like coffee, as well. Cold drinks stay cold for up to 25 hours and hot drinks for 12 hours. Easy to grip. Does not sweat. 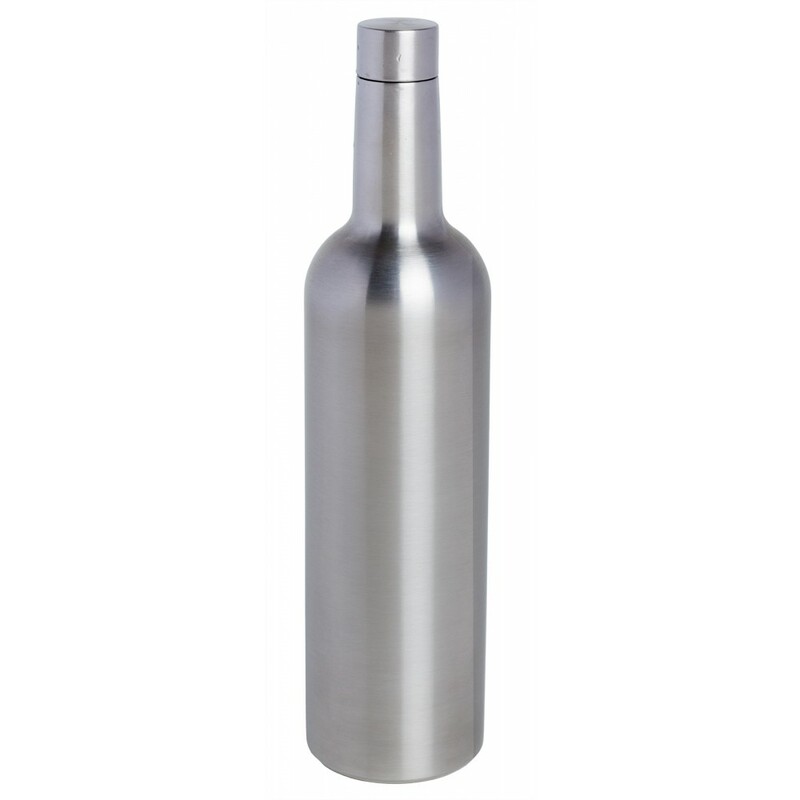 Holds a 750 ml (25.36 oz.) full bottle of wine. 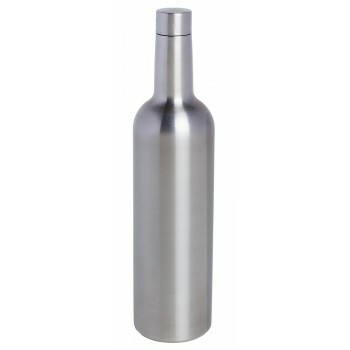 Vacuum sealed triple-wall construction, 18/8 Stainless Steel, screw-top, non-toxic and BPA free. 12-3/8” H, 3” dia. (with label). Imprint area: 2” x 2” for Laser engraving. Imprint area: 2-1/2” X 2-1/2” for ColorBlast.